100% Brand New! and High Quality. The stainless steel straw is a wonderful BPA-free, Eco-friendly and non-toxic alternative to plastic! These stainless steel straws feature the classic curved design, making it easy for your lips to reach the straw. 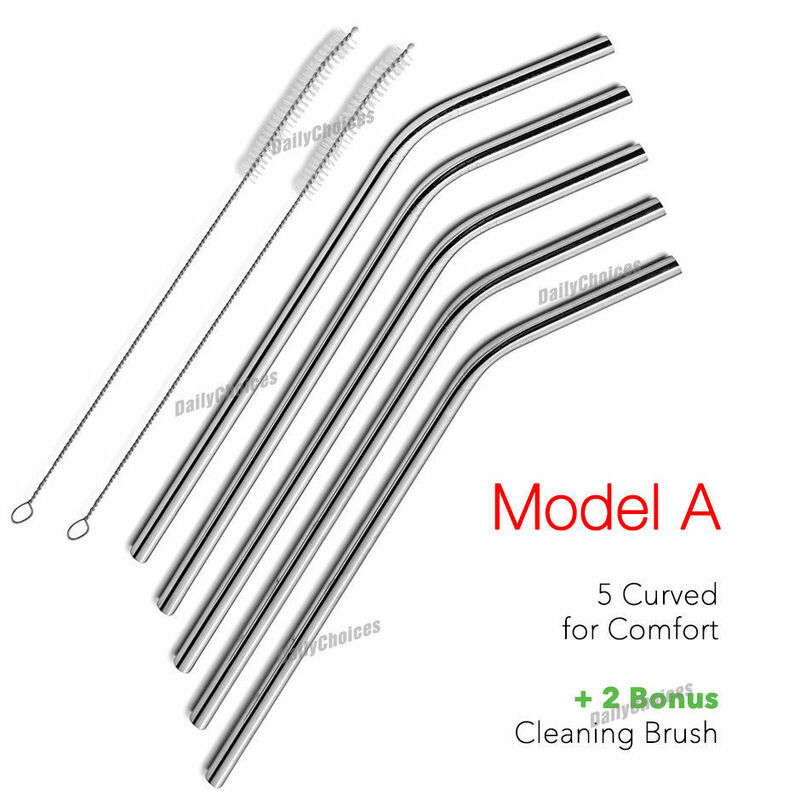 Of all the alternatives to plastic straws, stainless steel straws are the most durable and the least fragile, and therefore a safe option if you have lots of small kids in your household. To reduce the risk of dirt build-up inside the straws, wash them immediately after use. You can use the long thin brush or wash them in the dishwasher - Ideal for everyday use and for special occasions. Material: Food grade 304 stainless steel.